The original Ruby’s Diner resides at the end of the Balboa Pier in Newport Beach in what had originally been a bait shop. The owners sold the city of Newport Beach on the idea of converting the shop into a diner. The 1940’s style diner first opened for business 30 years ago on December 7th, 1982. Within several years, additional locations were opened up throughout Orange County, in Mission Viejo, Seal Beach, Costa Mesa, and Fullerton. 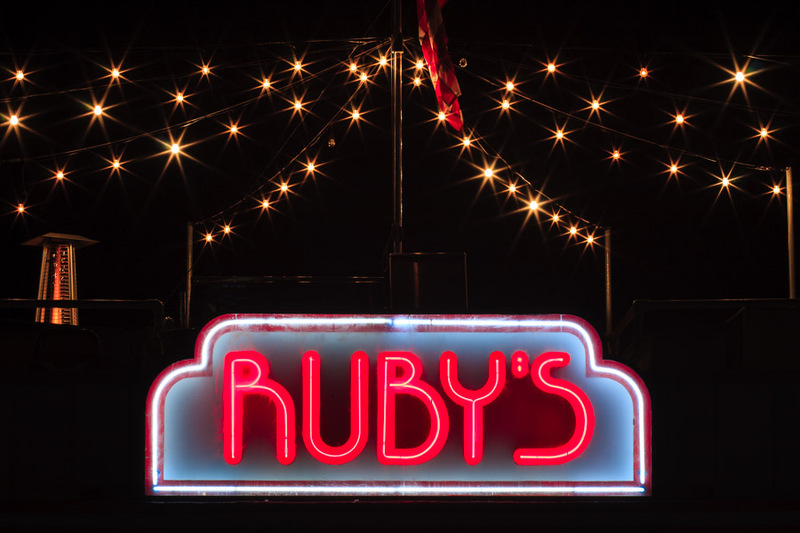 Most of the Ruby’s Diners now have florescent signs but the original location still has the classic neon sign.